Barton-Lexa’s rules eased on start dates, teacher planning. More on this story by Arkansas Online. 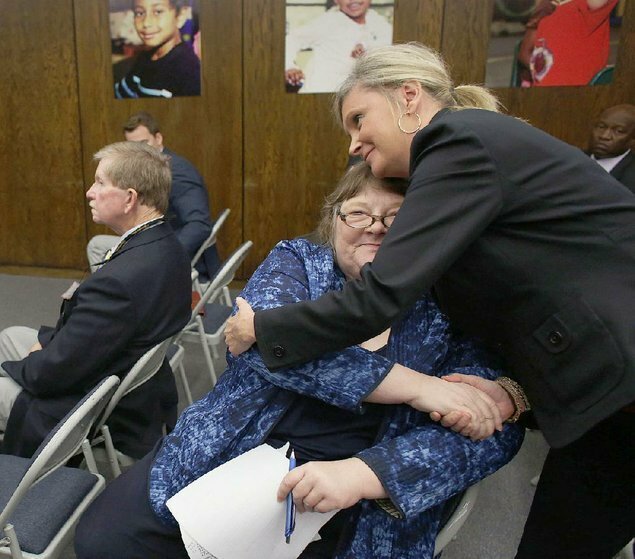 Public School Program Coordinator Mary Perry is hugged by Federal Programs Coordinator Tammie Moore on Thursday after the state Board of Education approved several waivers that Moore and Superintendent David Tollett of the Barton-Lexa School District had requested.